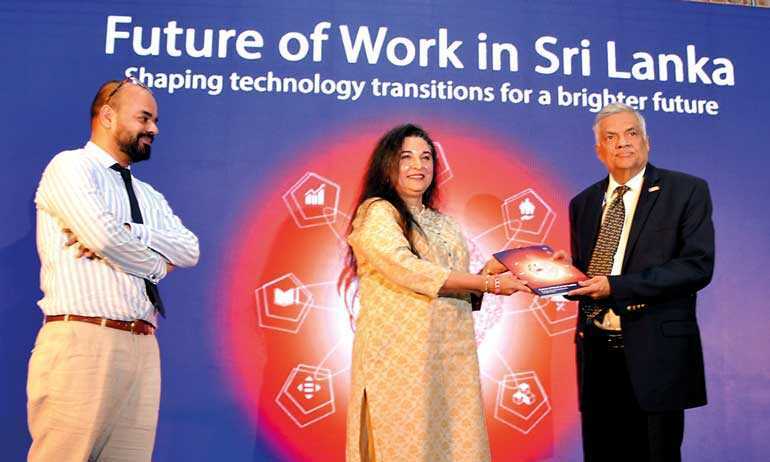 The International Labour Organisation (ILO) Country Office for Sri Lanka and the Maldives has released a milestone report: ‘The Future of Work in Sri Lanka: Shaping technology transitions for a brighter future’. 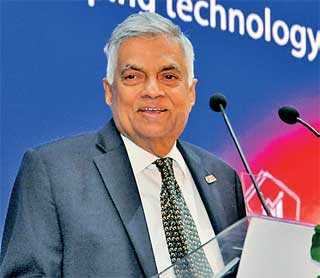 Prime Minister Ranil Wickremesinghe graced the event as the Chief Guest. 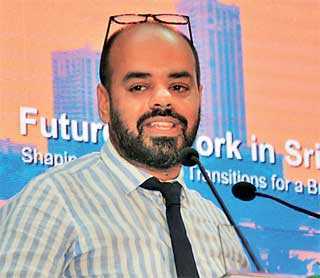 The report also develops ‘propositions’ on how to shape a better future of work for Sri Lanka from the point of view of the vulnerable, with implications to increase women’s labour force participation, to tackle youth unemployment and under-employment challenge, and to care for a rapidly ageing society. As Sri Lanka faces technological transitions, three vital ‘bright spots’ for are highlighted: the care economy, tourism, and green and sustainable business. “While the impact of technology on the future of work is a global phenomenon, it is critical to reflect on and analyse these changes through a local lens. This report investigates the implications of Sri Lanka’s unique local political, legal and socio-economic structures against an unsettled global backdrop and is a vital contribution to understanding the challenges and opportunities in the world of work for the next two decades,” commented ILO Country Director for Sri Lanka and Maldives Simrin Singh. The International Labour Organisation (ILO) is the United Nations agency for the world of work. 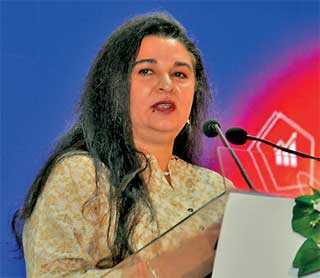 Devoted to advancing social justice, it promotes a Decent Work Agenda based on four strategic pillars: rights at work, decent employment opportunities, social protection and social dialogue. It is the only public international organisation which is tripartite, where workers and employers enjoy equal rights with governments in representation and decision making. Together they set labour standards, develop policies and devise programs upholding decent and productive work, in conditions of freedom, equity, security and dignity for all. Created in 1919 as part of the Treaty of Versailles that ended World War I, the ILO became the first specialised agency of the UN in 1946. Today it is recognised as the world’s authority on the world of work, offering over 100 years of knowledge, experience and achievements. Sri Lanka became a member of the ILO in 1948. In 1984 the ILO Country Office in Colombo was established. In 2009, the ILO Country Office expanded its coverage to include the Maldives. Since 2006 Sri Lanka has designed and executed three Decent Work Country Programs (DWCPs). The ongoing fourth Decent Work Country Program (2018-2022) has three Country Priorities, and these are the creation of sustainable, inclusive and decent employment; better governance of the labour market; and rights at work for all; and with greater data and knowledge generation as an enabling priority across the DWCP. 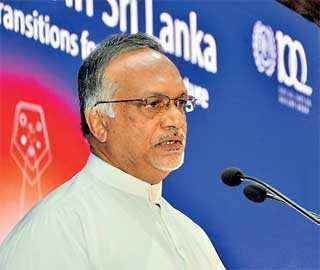 The ILO’s social partners in Sri Lanka include the subject ministries for Labour, Foreign Employment, Skills Development and Vocational Training, the Employers’ Federation of Ceylon, and trade unions.